Well done to the Dramatic Arts club! 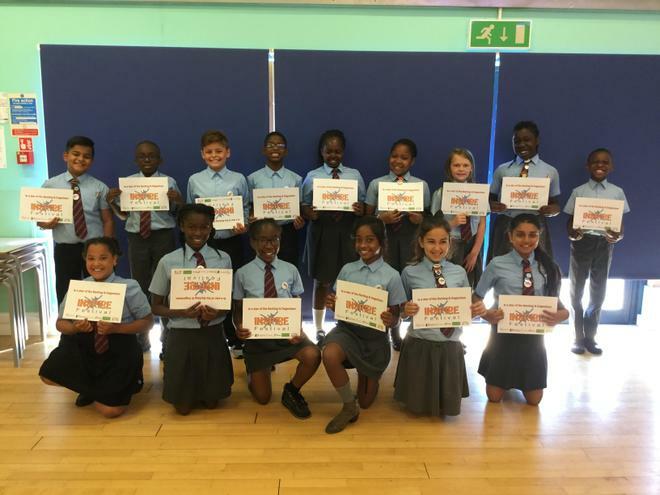 In today's whole school assembly, the children, from years 5 and 6, who participated in the Inspire festival held at the Boathouse in Barking received their certificates and badges. Two weeks ago, the children and staff had the opportunity to watch a small part of their amazing act, and we know that they did themselves and the school proud with not only their performance but also their behaviour.